In this article, I want to talk about MATH WORD PROBLEMS. They indeed give many children "problems", but that doesn't have to be! Have you ever noticed this kind of "recipe" for math lessons in many math books? In other words, the word problems are usually in the END of the lesson, and just a few. But worse... if the lesson is about topic X, then the word problems are usually about the topic X too! Children might be learning about multi-digit multiplication, or subtraction, or dividing decimals. After the calculation exercises come some word problems, which oddly enough are solved by using the exact operation just practiced! Just try: the following made-up problem is in FINNISH... and let's say it is found within a long division lesson. I assume now that you do NOT know Finnish — but can you solve it? Kaupan hyllyillä on 873 lakanaa, 9:ää eri väriä. Joka väriä on saman verran. Kuinka monta lakanaa on kussakin värissä? Drag your mouse over the white space below to see the translation (highlight it). The store has 873 sheets in 9 different colors. There is the same amount of sheets for each color. How many sheets of each color are there? "Word problems in math books are solved by some routine or rule that you find in the beginning of that particular lesson." It is no wonder that our students are not able to solve anything that's different from that routine! How can you avoid this terrible situation? Children simply need to be given good problems to solve. That way, they will get used to THINKING. These good word problems should advance in difficulty over the grades, and foster children's logical thinking. ONE-step problems are adequate for 1st and 2nd grades, and then here and there mixed in with other types of problems. In early elementary grades, one needs to mix up the (often one-step) word problems so that not all of them are solved by the operation just studied. I have done that often in my Math Mammoth books. For more word problems than in your current math curriculum, check the list of problem solving resources at the end of this article. What about Math Mammoth and word problems? you might ask. I don't currently have a single book with only word problems (though we're hoping to make one, one day). Instead, word problems are simply present in ALL of the Math Mammoth materials. Here's how to help a student with problem solving and word problems using Math Mammoth. Such a student could go through all of the Math Mammoth Light Blue or Blue series, starting from grade 1 materials, and do ONLY the word problems and related lessons. An ancient artist drew scenes of hunting on the walls of a cave, including 43 figures of animals and people. There were 17 more figures of animals than people. How many figures of people did the artist draw? Raju and Samy shared $410 between them. Raju received $100 more than Samy. How much money did Samy receive? Or, you can solve them with arithmetic: simply take away the given difference from the total, then divide the remaining amount evenly, and lastly add the given difference to one person's part. Yet in the U.S., these kind of problems are generally introduced in Algebra 1 — in ninth grade(! ), AND they are only solved using algebraic means. Find two consecutive numbers whose product is 42. Third-grade children should know multiplication well enough to quickly find that 6 and 7 fit the problem! Why use a "backhoe" (algebra) for a problem you can solve using a "small spade" (simple multiplication)! I know some will argue and say, "Its purpose is to learn to set up an equation." But for that purpose I would use a bigger number and not 42. (Try 3422. ) Don't such simple problems in algebra books just encourage students to forget common sense and simple arithmetic? A boy and a girl collected 24 nuts. The boy collected two times as many nuts as the girl. How many did each collect? You can draw a boy and a girl, draw two pockets for the boy, and one pocket for the girl. This visual representation easily solves the problem. An ancient problem. A flying goose met a flock of geese in the air and said: "Hello, hundred geese!" The leader of the flock answered to him: "There is not a hundred of us. If there were as many of us as there are and as many more and half many more and quarter as many more and you, goose, also flied with us, then there would be hundred of us." How many geese were there in the flock? So, once again, the only true way of learning to solve word problems is .... TO SOLVE LOTS OF THEM. They don't have to be real-life or involve awkward numbers (such as occur in real life). Realistic, complex problems might be good for a "spice", but not for the "main course". "Fantastic" (unreal) problems are fine. One of my girls used to cherish the word problems in my Math Mammoth books MORE than the other kinds of problems. And the general consensus of the feedback I hear from Math Mammoth users is that once children get used to solving a variety of word problems, it's no longer a problem! Some children, if not used to solving word problems, may need to start from the beginning — with a collection of simple one-step word problems (mixed up). But that's okay. They will learn! Rule 2: Extract the numbers from the problem in the order they appear. Be on the watch for numbers written in words. Rule 3: If rule 2 yields three or more numbers, the best bet is adding them together. Rule 4: If there are only 2 numbers which are approximately the same size, then subtraction should give the best results. Rule 5: If there are only two numbers and one is much smaller than the other, then divide if it goes evenly -- otherwise multiply. Rule 6: If the problem seems like it calls for a formula, pick a formula that has enough letters to use all the numbers given in the problem. Rule 7: If the rules 1-6 don't seem to work, make one last desperate attempt. Take the set of numbers found by rule 2 and perform about two pages of random operations using these numbers. You should circle about five or six answers on each page just in case one of them happens to be the answer. You might get some partial credit for trying hard. I hope your students do not fit the above joke. Free newsletters with the purpose of challenging students with good problems that inspire curiosity. 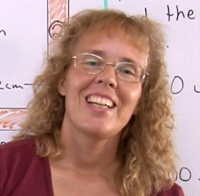 Math Stars are in sets for Grades 1-8 and include commentaries for teachers. A free collection of problems for grades 1-8, originally published by the North Carolina State Board of Education. 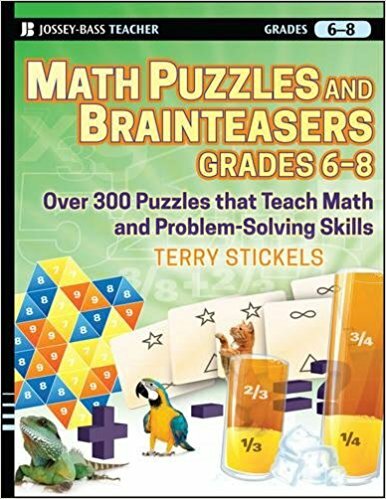 A book with over 300 delightful puzzles and problems that teach math and problem solving. Ray's Arithmetic is an old math book, full of word problems, starting from the simplest. It basically uses word problems to teach arithmetic. It is available FREE online. 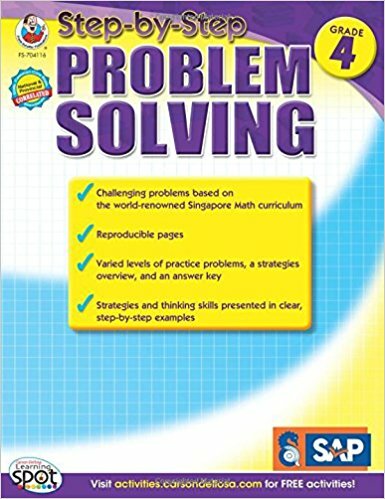 Look especially for the MIXED word problem worksheets in this collection. The site offers word problem worksheets for all of the grades 1-5 (look in the menu). An article by Andrei Toom. Contains some good example problems from Russia! These are all one-step problems but useful for grades 3-4 students who need such practice. For children in grades 4-7. 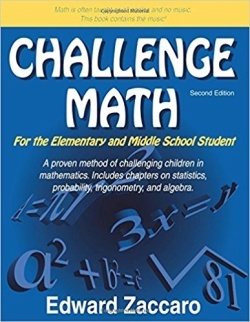 Contains 20 chapters with instruction and problems at three levels of difficulty. A long list of yet MORE problem solving resources! Lots of these are totally free!